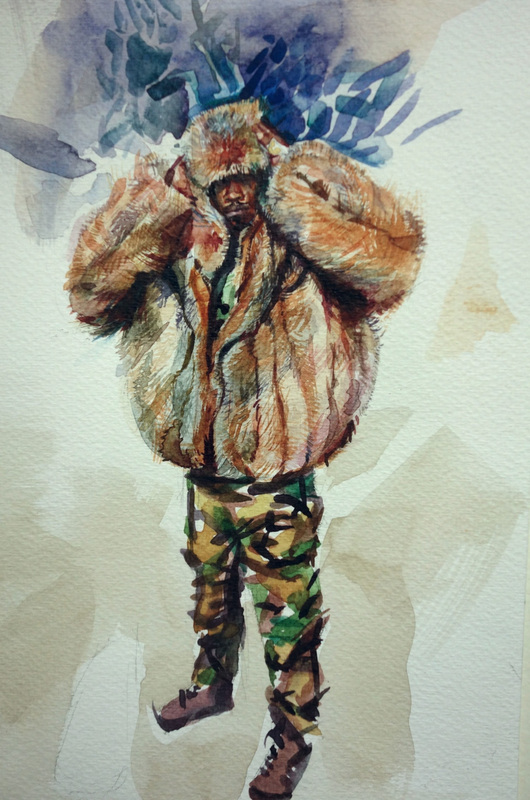 A fellowship at Wave Hill gives artist Ashton Agbomenou 14 FAV the space to begin a new portrait series. Growing up in Harlem as a first-generation American, Ashton Agbomenou 14 FAV watched helplessly as gentrification transformed his neighborhood, pushing people of color further and further into the margins. And with each new incidence of police brutality—coupled with signs of growing racial and economic inequality—the vision of America that inspired his parents to leave their home in Benin, West Africa seemed to grow dimmer. After winning support from the New York Community Trust Van Lier Fellowship, Agbomenou began doing just that during a residency he recently completed at Wave Hill in the Bronx. In February and March he took advantage of free studio space at the cultural center’s bucolic setting—about a two-hour train ride from his current home in the Bed-Stuy neighborhood in Brooklyn—to conduct research and begin working on his new portrait series. At the same time, Agbomenou is working on commissioned portraits in order to fund a new studio space and continuing to assist thriving NYC artists Simone Leigh and Chitra Ganesh, both of whom he met while they were teaching at RISD. 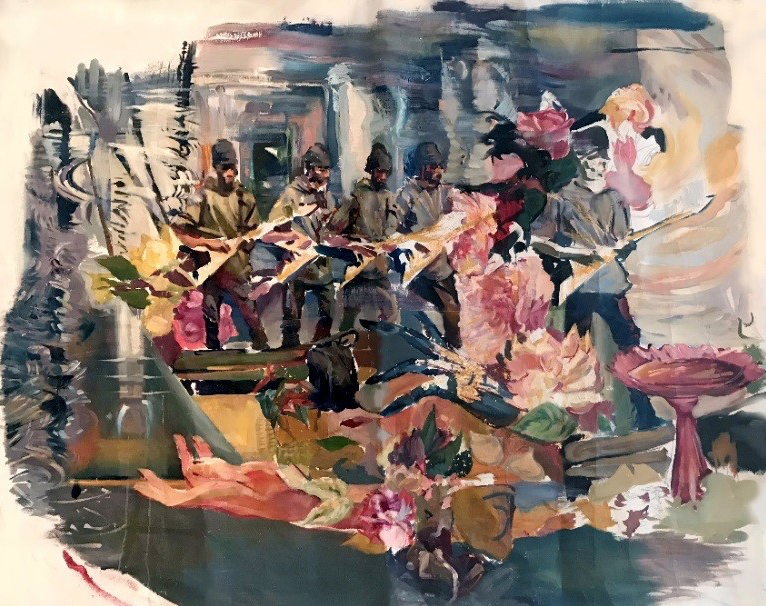 And although he isn’t currently pursuing any film projects, he believes that majoring in Film/Animation/Video has made a lasting impact on his sequential approach to narratives and how he prefers to exhibit his paintings. Beyond the notorious workload, Agbomenou notes that studying at RISD presented other challenges. 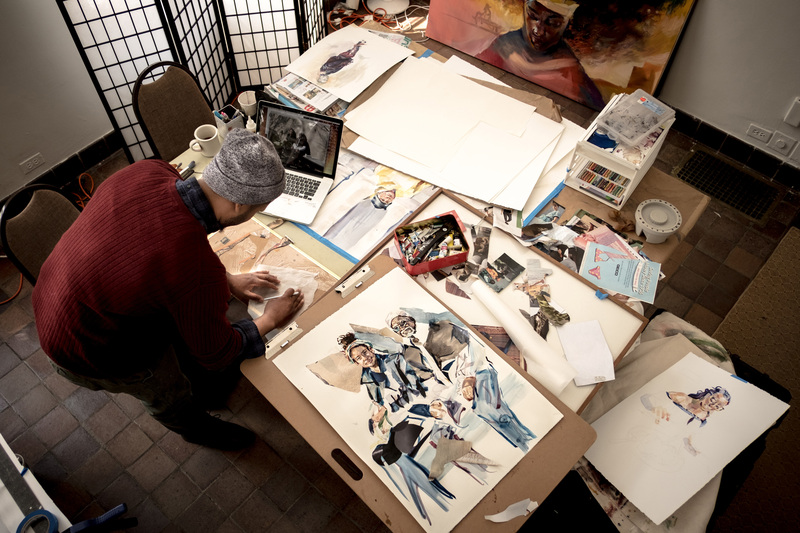 “Providence was a kind of retreat from the hectic pace of Harlem,” he says, “but navigating between the two realities was difficult.” He relied on support from mentors like Tony Johnson 93 SC, now RISD’s assistant dean of students, and Assistant Professor Andrew Freiband 97 FAV, who, he says, “understood the culture shock” he was facing and encouraged him to connect more with peers. 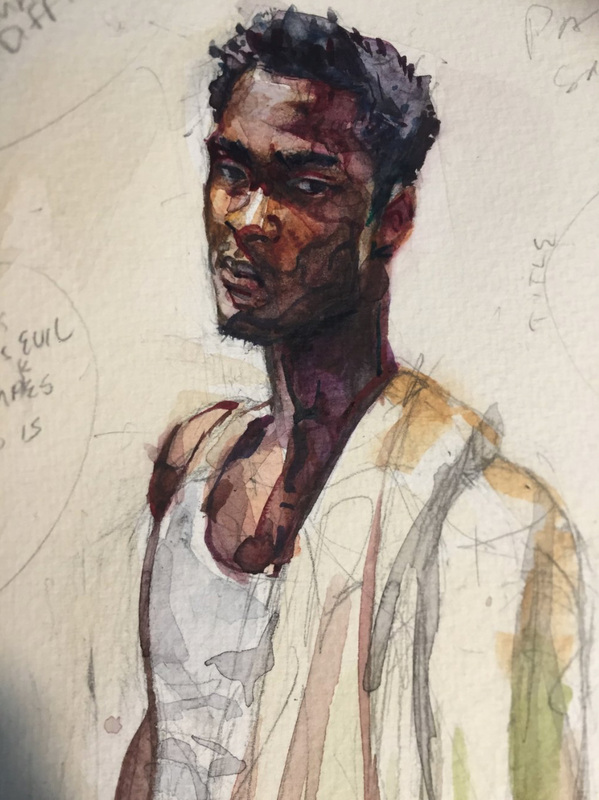 As part of his Van Lier Fellowship, Agbomenou will exhibit the portrait series he’s working on in Wave Hill’s Sunroom Gallery from September 23 through October 27. Brown/RISD dual degree student Nadia Wolff BRDD 21 TX considers how religion relates to race, sexuality and global colonization. Graduate student Kelly Taylor Mitchell MFA 18 PR translates elements of her personal history into evocative installations and artist’s books. Senior Zenzele Ojore 18 PH returns from a summer internship in Uganda with surprising new insights about her own identity as a black American artist.